After the observance, Easter is a time of family reunions, traditional foods, and creating new memories while reminiscing and reflecting. While the adults are setting the tables and catching up with the past year’s events, the kids impatiently await the first course to arrive so they can finally dig in. 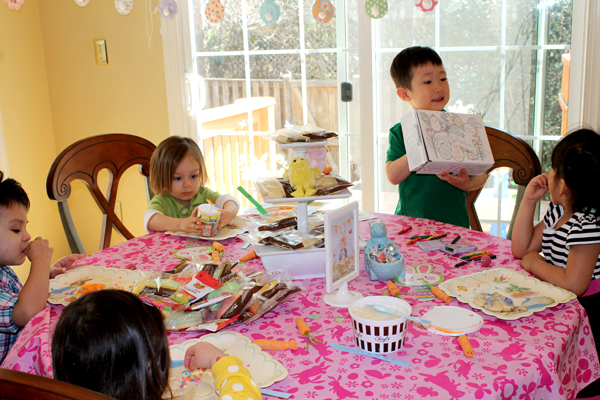 This year, keep the younger crowd calm while partaking in some festive fun with Easter activities for kids! Set up a separate crafting and activity station to keep all the kids settled in one place. Prepare the area with smocks if necessary; Cover with festive wrapping paper to not only protect the table but to also dress up the space. 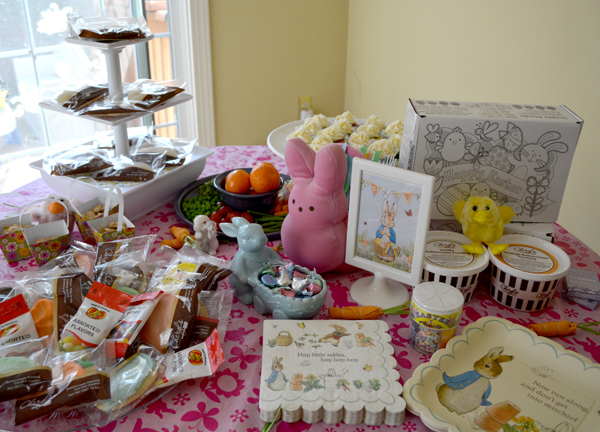 Here are some suggestions for simple yet fun Easter activities for kids; be sure to set out all the supplies and ingredients they may need before the event so they can enjoy the day while the adults catch up and play! Don’t forget to check out our Easy Easter Decorating Ideas for some simple and festive ways to spruce up your space! Prepare a few dozen hardboiled eggs for kids to decorate. For less mess, skip the paints and dyes and instead provide kids with permanent markers in various colors so they can draw designs or even just bedazzle the eggs with their names. Other mess-free suggestions include festive stickers and glitter pens. This festive activity box for Easter is filled with festive treats and activities to keep children of all ages occupied. The best part? This activity box comes complete with sweets, crayons, and even an adorable paddle ball, all packaged in a ready-to-color box, essentially doing the prep work for you. 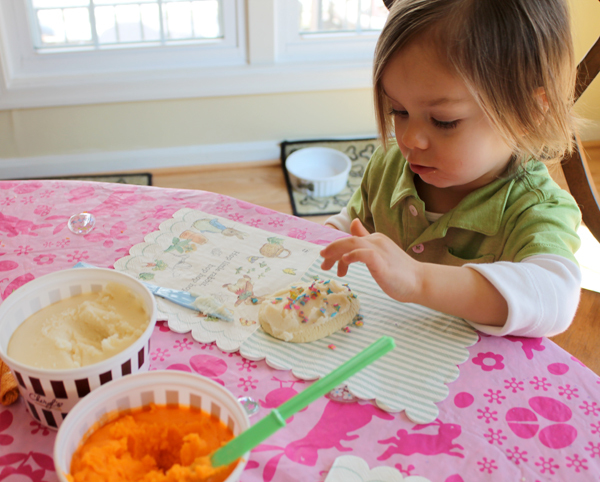 At the end of the party, kids can then pack all of their goodies and creations into the activity for a creative party favor container! 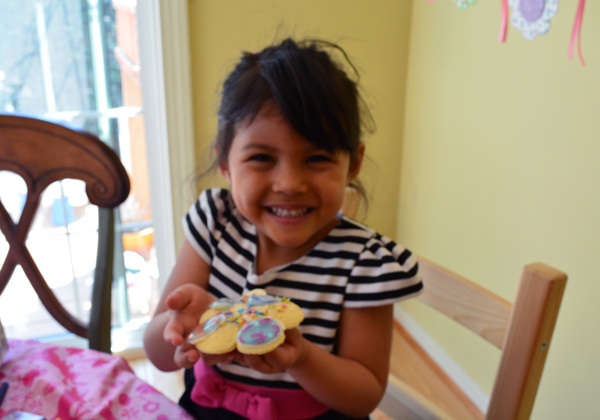 The only thing better than decorating eggs is decorating buttercream cookie eggs! 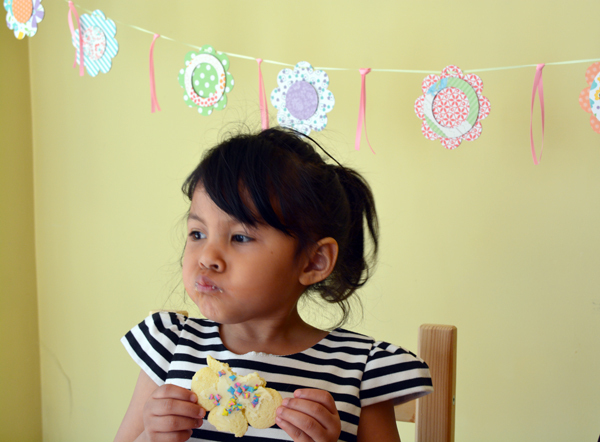 Set up a cookie decorating station for kids to unleash their sweet tooth dreams. Our Easter Cutout Cookie Decorating Kit comes with unfrosted Cheryl’s famous cutout cookies, butter cream frosting, and festive sprinkles for some seriously sweet fun! Want to keep the cookie fun going year-round? Surprise someone special with our Frosted Cookie Club, and for a limited time get 6 Buttercream Chick Cookies free with subscription! 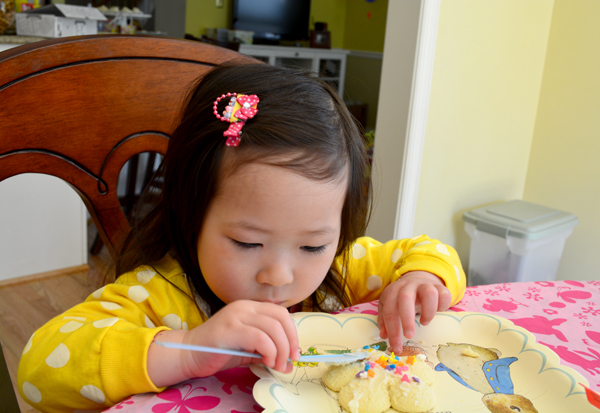 An artist-in-training works diligently on her cookie creation. 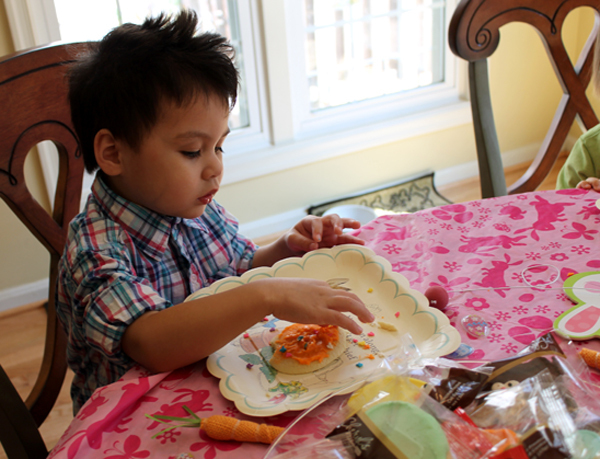 The perfect sprinkles placement requires extreme concentration. 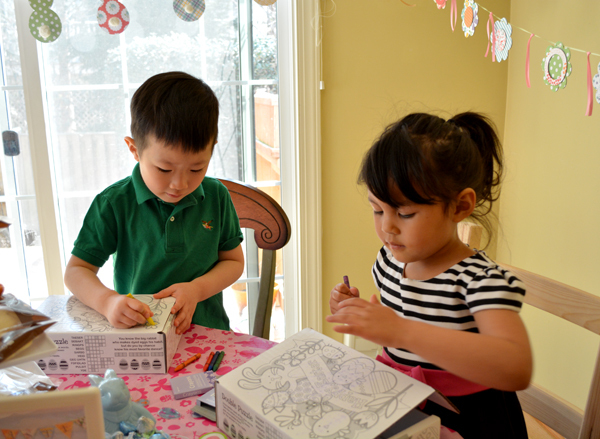 The kids then channel their inner artists with an Easter activity box. Once they are finished, it’s time to show off those masterpieces!